< Whilst I’m only in my 20s and am most definitely not an expert in fashion, I am a lover of it and have built a wardrobe I’m pretty damn happy with. Not literally. I’m not a joiner. If anyone does want to build me a wardrobe I’d like either Cher’s from Clueless or Carrie Bradshaw’s that Big gets for her. 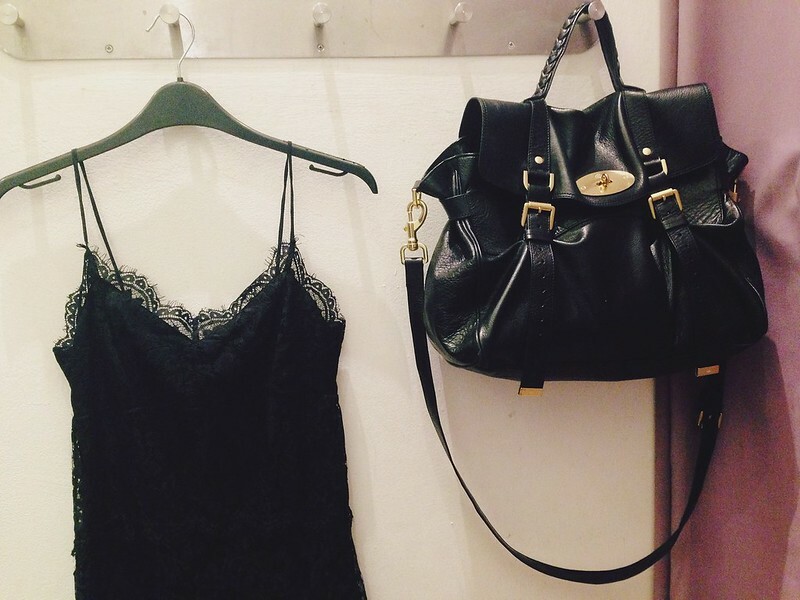 But I digress… Here are the ten wardrobe pieces I believe every woman should own. Whilst I love my clothes to look nice, I also like them to be practical too and serve different purposes - and this is how this collection was born. Definitely in black and ideally with a slightly slouchy but tailored fit. A blazer is a staple piece that can work with 90% of your wardrobe. I remember my first one - my mum bought it me and I remember turning my nose up at it (because apparently a bench hoodie was “so much cooler”). Boy was I wrong, it’s a classic, timeless piece that never goes out of style. Wear to work, on a night out to finish your look or to dress up casual day time outfits. To be honest, I wear mine with pretty much anything. You wouldn’t believe how long it took me to find a white shirt I was happy with. My favourite kind are full sleeved and with no pockets as they remind me of being at school. You want a good, crisp fabric with a slightly oversized fit. A white shirt is another hard working piece in your wardrobe. It’s a great formal piece to wear to interviews or meetings and can then be teamed with a ripped boyfriend jean at the weekend for more of a relaxed look. I have a confession. I only ever buy black shoes.They go with everything and they always look so chic. Dress up jeans with them or hit the town in them on a night out. Extra points if you bag a pair with a concealed platform - fashion without the pain is always a winner. Okay so I’m kind of cheating on this one. I believe you should own two pairs of skinny jeans in your life, a black pair and a classic blue denim pair. If you work in an office like mine where jeans are acceptable - black is a great investment and still look smart but with being comfortable too. A blue wash are great for the weekend and thanks to Kate Moss, the skinny fit won’t be going out of style for a while, so I definitely advise investing in a good pair. I don’t mean throwing money at a designer pair because price doesn’t always equate quality. My favourite ever jeans are the Topshop Leigh ones. As creepy as it sounds I always have to stop myself stroking my legs because they feel that good both on the inside and out. They’re not a heavy denim and I can be pretty active in them. I’ve gone on hikes in them and worn them around Go Ape - so I can safely say they’re pretty ace. The 60s is one of my favourite eras and thanks to the likes of Audrey Hepburn in Breakfast at Tiffany’s, a black shift dress is forever on trend. Choose your fabric wisely and it can be an all-year-round piece. Make it work extra hard by teaming over a white shirt for work during the day and then when you clock off - remove the shirt and tights and you’re ready for a night out. Long gone are the days when pencil skirts were reserved for the boardroom. Over recent years they’ve earned their fashion status amongst all the other skirt types. For shorties like me, fit is key to ensure my petite figure isn’t swamped. A black pencil skirt (I know, I know - I love black) is the best place to start. Jersey styles are great for the day but also pick up more of a structured style for work or nights out. Team with shirts, bralets and pretty much every other type of top you have. Sometimes it’s best to take it back to basics. Plain tees are a definite wardrobe staple - at least have a white and black one handy. I always buy mine from the men’s section as I prefer the oversized fit. To ensure you resemble some sort of figure, keep your bottom half structured in a pair of skinnies. Whether real leather or not, a biker jacket is a great alternative to the blazer. It’s more casual and is a little more practical (hello pockets!). You’d be surprised how long it takes to find ‘the one’ though, so search until you get to that point and you won’t look back. They say girls are either a bag or shoe girl. I’m not obsessed with bags but I definitely spend more time and money on them. I think it’s because I expect a lot from a bag. I want it to look nice, be practical and cope with my demands. It always starts off so well - I promise myself I’ll take care of it and not overload it. The next minute it’s got my lunch in, a spare pair of shoes and a year’s worth of receipts. I like a bag big enough for an overnight stay but not overly big. Pockets are a must and the style needs to be classic. I tend to go for satchels or totes. Michael Kors is a current favourite of mine - his bags are pretty fantastic and not too pricey. There is no definition to this one as a killer dress not only looks good on the outside but more importantly makes you feel good on the inside. Every girl needs a dress she can turn to to make her feel fabulous. Whether it’s bodycon, swing, shift, lace or sequinned - invest in a dress you feel a million dollars in.